179 Year 8 students over two days, with teachers, parents and support staff. Learning began with a module on sacred space, looking at the relationship between inner and outer life. Students then built a model of a place of worship (of whatever tradition) and, using and developing their ICT skills, turned it into an interactive presentation, often with a virtual tour. 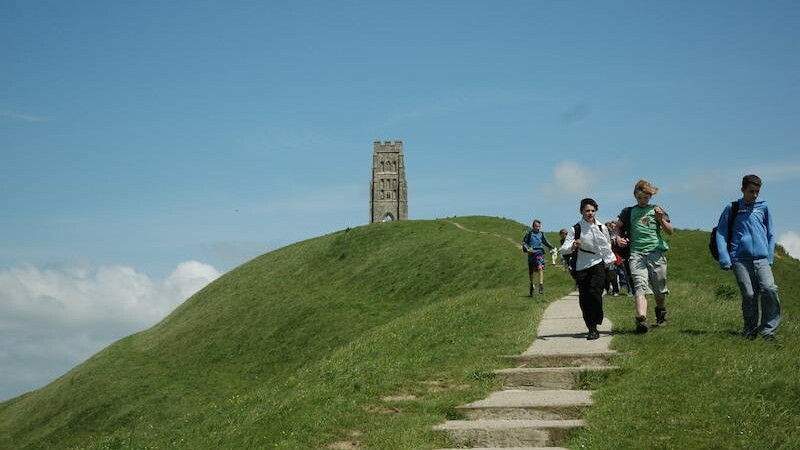 They then studied pilgrimage and did preparatory research on the various stories and legends surrounding Glastonbury. The visit also included receiving a ‘pilgrimage badge’ as a memento and souvenir. With guided questions, students wrote about their experiences, with the focus on recording evidence, evaluating its significance and giving reasoned arguments to support their ideas. They were also encouraged to use alternative, creative means of self-expression, such as writing poems. Subsequently, they shared their experiences in groups.